Alco, the American Locomotive Company, was a well established and respected builder of steam locomotives which made the transition from steam to diesel during the 1940s. But the 244 series engine, which was developed during WW2 and rushed into production once wartime embargoes were lifted, proved unreliable when compared to rival EMD's 2-stroke 567. As a consequence their reputation and sales suffered. Throughout the 1950s and 60s they remained the largest minority builder, seeing off Baldwin-Lima-Hamilton and Fairbanks-Morse in the process, whilst introducing the much improved 251 series engine and the new Century designs. But only a few railroads, the Lehigh Valley and Delaware & Hudson for example, favoured Alco products over those of EMD. On other railroads Alcos were definitely in a minority. They did have an excellent reputation for being extremely hardy locomotives, with exceptional lugging capabilities, ideally suited for heavy haul services, such as on Quebec's iron ore railroad, the Chemin de Fer du Cartier, where they ruled the roost unchallenged until 2001. But by 1969, squeezed between the ambitions of new entrant GE and the strength of the established market leader EMD, both of whom were divisions of much larger industrial groups, Alco called it a day and ceased locomotive manufacture. 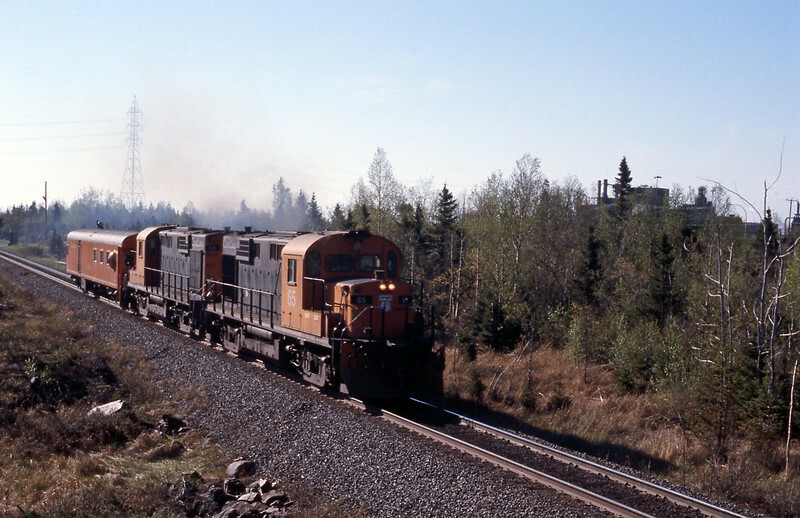 Alco's affiliate in Canada, the Montreal Locomotive Works, continued to produce Alco powered locomotives until 1985. Today in North America Alco parts and 251 series engines are still produced, ironically by Fairbanks Morse Engine in Beloit, WI. Alco were very active in the export market and were very happy to sign licencing arrangements with overseas manufacturers. Eskulduna in Spain, A E Goodwin in Australia and DLW in India were Alco licensees building both Century and export models. Indeed Alco designs, powered by the 251 series engine, still feature in the DLW catalogue. The pictures in this gallery are mainly products of Alco's overseas ambitions, in Spain, India but especially in South America, where Alco salesmen were particularly busy and extraordinarily successful. Back in North America Alcos are something of an endangered species. One bastion, the Arkansas and Missouri, has recently invested in modern EMD power for their road freights, leaving the Alcos with switching and transfer duties. The shortline Western New York and Pennsylvania and Delaware-Lackawanna still roster a range of 1960 Alco/MLW designs, including, on the WNYP a trio of C430s, only a handful of which were ever built. Elsewhere with locomotives rapidly reaching 50+ years old it won't be too long before Alcos in day to day revenue service become a thing of the past, confined to history books and heritage railways. That will be a very sad day. At the end of May 2001 I returned to Port Cartier, this time flying to Sept Iles for four days exploring the CF du Cartier through the Reserve Faunique wilderness. On my first morning, May 27th RS18 65, a 40+ years veteran of the railroad with a MoW car just outside the yard limits in Port Cartier.